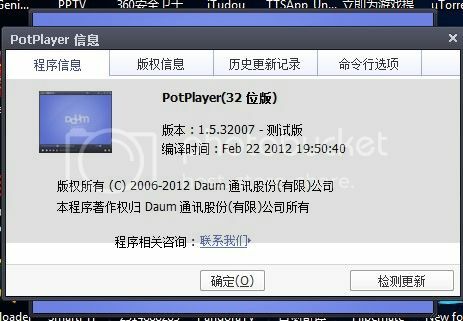 [C语言程序设计此格式pot无法播_1.csf​ (2.0 MB) - added by ulti-killer 7 years ago. Please add the command line you are using and the complete, uncut console output. Which application / player plays the file? I use CutTool?.exe to cut the video and playback the video using potplayer. This format is simply not supported at all by FFmpeg currently. Possibly contains some other encoding types, too. All container structures seem to be little-endian. Each "frame" contains a 4 byte size at offset 8. For the PNG encoded ones, offsets 16 - 24 seem to contain 4 16 bit values that indicate the offset and size of the image the PNG updates. After that seems to follow yet another size field containing the remaining bytes. Start of the following packet is always aligned to 16 bytes. There seems to be some kind of index at 0x190. This and the data start seems to be referenced in the header, at bytes 24 and 28.
will be supported in next updates?